Business is as busy as ever for Andrews Automation Ltd in 2018 as clients look to invest in future-proofing their processes to guard against the looming increases in the minimum working wage, and indeed the possibility that some areas in the UK may struggle to attract the ever decreasing numbers of manual workers. Andrews Automation Ltd have a broad range of automation solutions for many industries including warehouse distribution, picking and packing facilities, manufacturing production facilities, and e-commerce distribution. 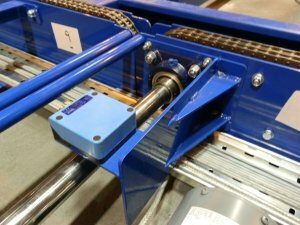 The last 12 months has seen a number of applications where chain conveyors have been the best solution for client requirements. Our chain conveyors have been installed all over the UK and can also be found as far a field as India and the USA, in applications such as raw material processing and automotive component handling. 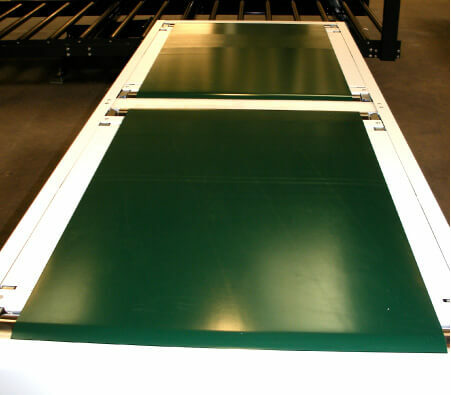 Chain conveyor solutions are a versatile conveyor system that has the capability of transporting a variety of load types and is an ideal choice for loads that have non-uniform bases such as stillages or quarter pallets, particularly those with corner feet. 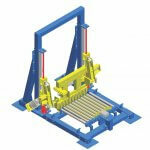 With chain conveyor solutions the load is transported on top of the chain allowing a safe and smooth movement. Chain conveyors are that versatile that they can be designed with various different chain pitches in mind or by utilising mutli-strand chain depending on load weights or dimensions. Drives can also be specified using a varied range of sprocket sizes to give a broad range of speeds, plus inverter drives can also be added to achieve an even more speed control. All Andrews Automation Ltd chain conveyors are designed and built in-house at our facility in Goole, East Riding of Yorkshire, including all mechanical elements AND control elements. Our systems are built and tested prior to shipping allowing us to deliver our systems in modules so that our installation team can install with the minimum of fuss and in the quickest time possible.